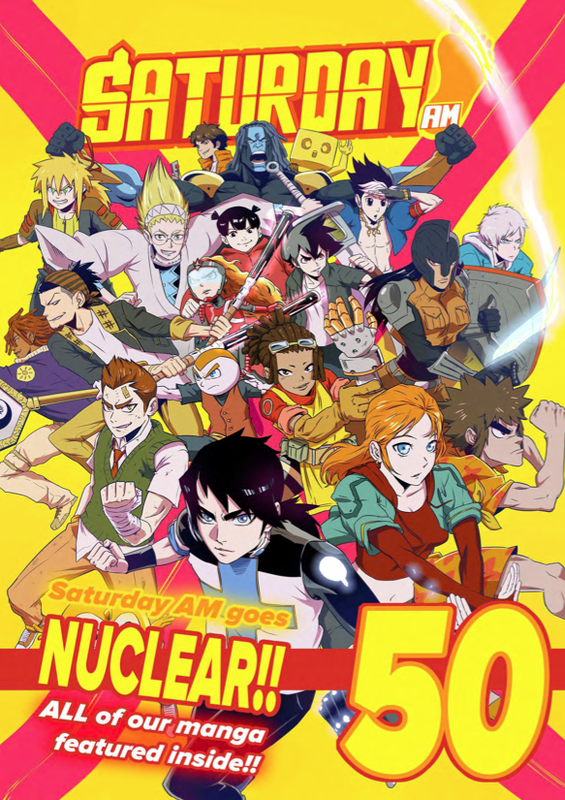 Save 25% off the regular cost with this Season 1 bundle and enjoy issues 1 through 5 of the incredible Saturday AM manga webcomic anthology. For one low price (i.e. every issue just $1.50) you can grab this combo pack which provides nearly 500 pages of original content from the hottest webcomic creators online! Every issue includes APPLE BLACK, BULLY EATER, COMATOSE, RACE! ON! and SAIGAMI along with EXCLUSIVE Interviews, reviews and more!